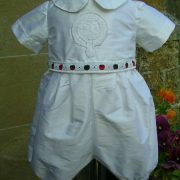 New for summer 2009 aned a lovely addition to the Scottish Collection and a perfect choice for parents who are unsure whether to dress their little boy in a gown or a romper. The solution? Choose both!! 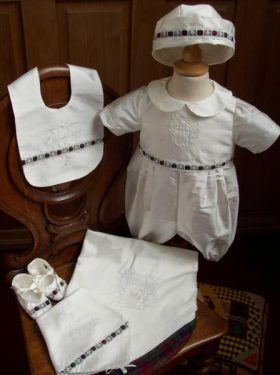 This christening outfit is created from 100% pure silk dupion and features a romper with a mock waistband that carefully conceals fateners or a skirt to join. 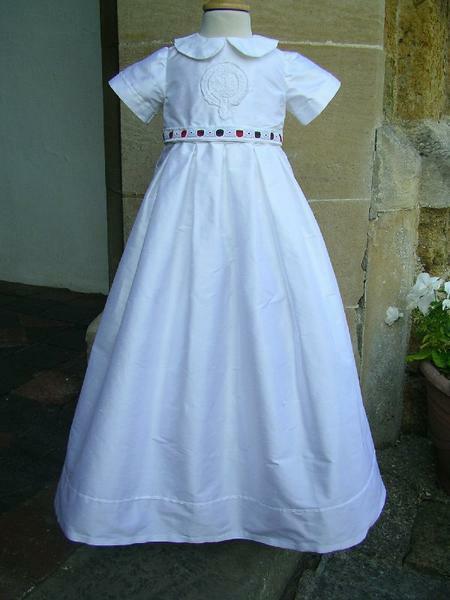 So, for the baptism ceremony the baby will wear a gown and then afterwards the skirt is easily removed to reveal the little romper underneath. 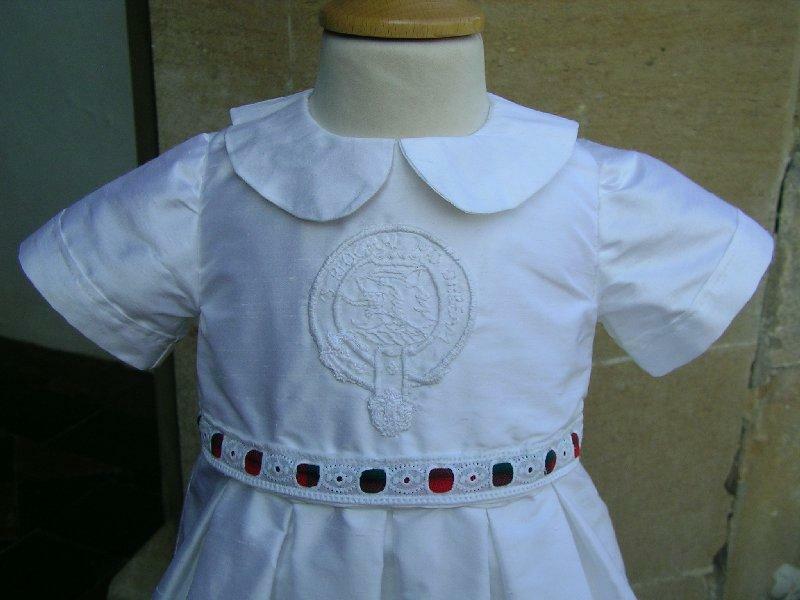 As with all the Scottish Christening Gowns Collection the bodice bears the hand embroidered crest as well as the family tartan on the trimming. 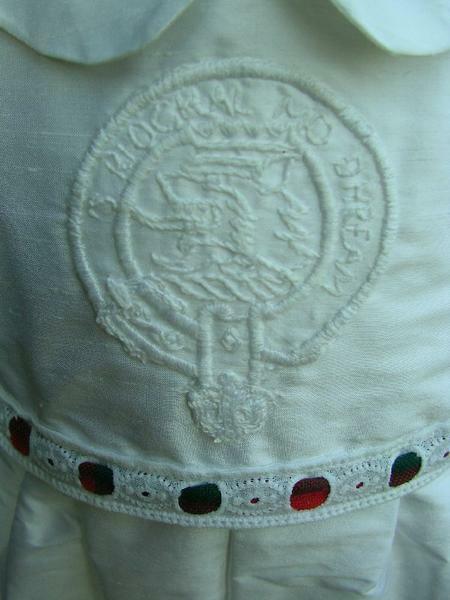 All crests and every tartan can be accommodated on this outfit. 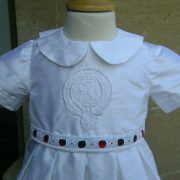 The little Peter Pan collar and the dainty sleeves compliment the classic style. 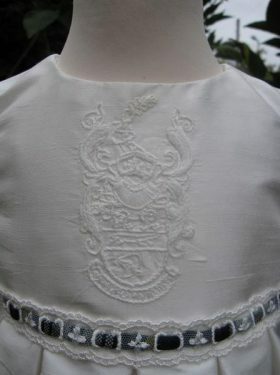 The skirt has similar pintuck edging to the sleeves and adjoins the bodice with lovely pleat detail. 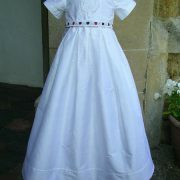 All in all, another wonderful style for you to choose. 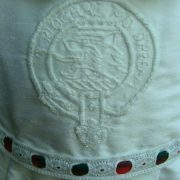 Thank you for such a beautiful romper and gown in the Scottish style, it was so lovely. 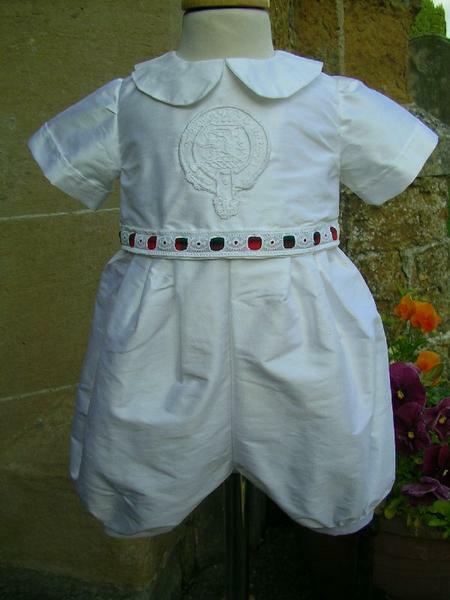 Lochlin just look like a wee prince. 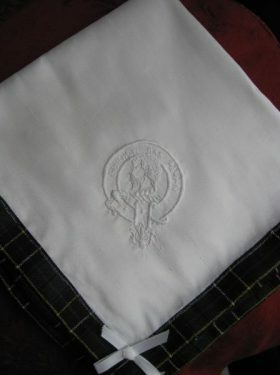 It was a lovely day and Lochlin was so well behaved we didnt hear him all day really apart from when it was feeding time. 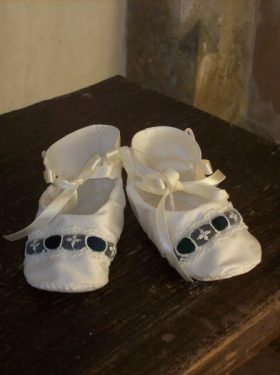 All Lochlin Christening Gown accessories are made to match the Christening Gown using the same silk fabric and matching tartan trim.